I was invited to Barkada to try out some of their menu items. I was extremely excited to get my first taste of Filipino cuisine. 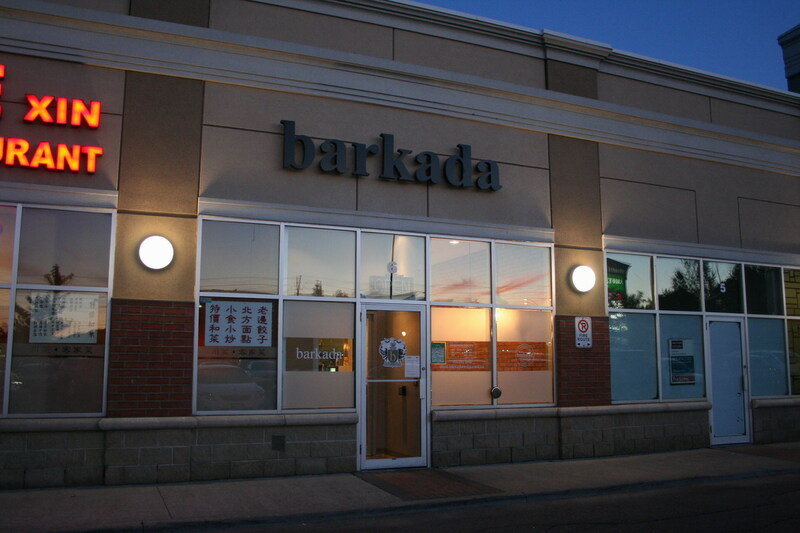 Situated in the T&T Plaza at Steeles/Middlefield, you can’t tell what kind of cuisine or restaurant Barkada is. Taken from the tagalog word meaning “group of friends”, Barkada offers cooked-to-order Filipino cuisine in a cool contemporary setting. I really like the space they’re using. Open kitchen so you can see all the food being made to order, with seating for 25. 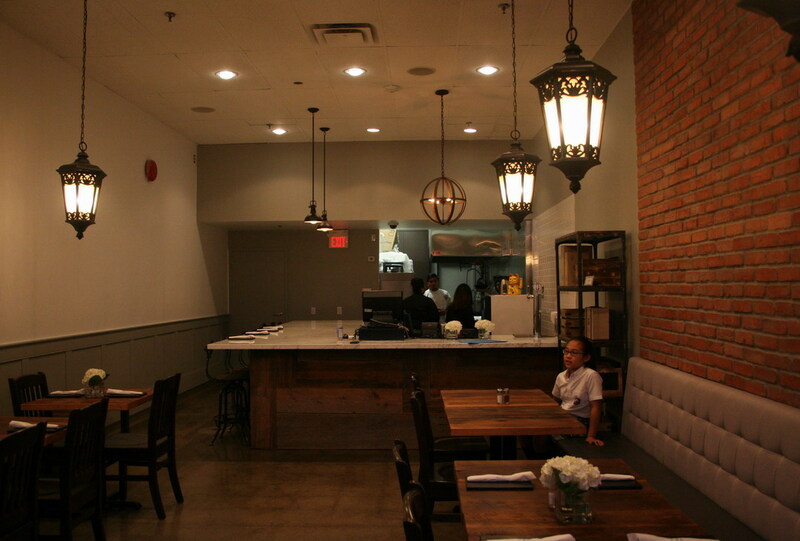 The space has the feel of an off-downtown resto. A friend brought me to try out some of Barkada’s current menu items, as well as new candidates to make the menu. 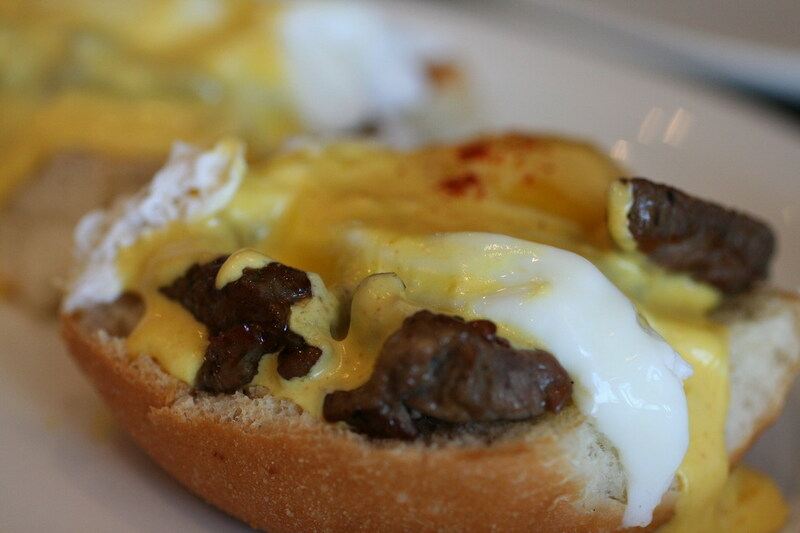 Eggs Benedict with beef tapa, served on toasted pan de sal (filipino bread rolls), one of the candidate new menu items. The hollandaise was very well executed, but the beef was lacking in flavour and a bit chewy. The bread could also a bit more texture or flavour, it really didn’t stand up to the rest of the flavours. 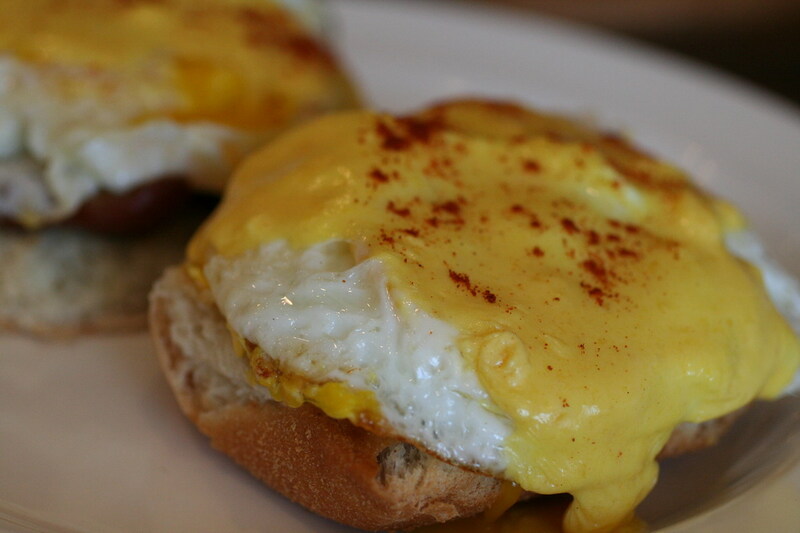 Eggs Benedict with pork tocino, served on pan de sal, one of the candidate new menu items. This bread was toasted a bit better and crispier, and I think the egg is pan-fried instead of poached. It’s a lot less messy/yolky as a result, so maybe the bread didn’t sog up as quickly. The pork meat was very flavourful and well-marinated in sugar and soy. A very interesting all-day breakfast item, for folks that like breakfast at random times of the day. The Pork Tocino Tacos was one of the new candidates for the menu. 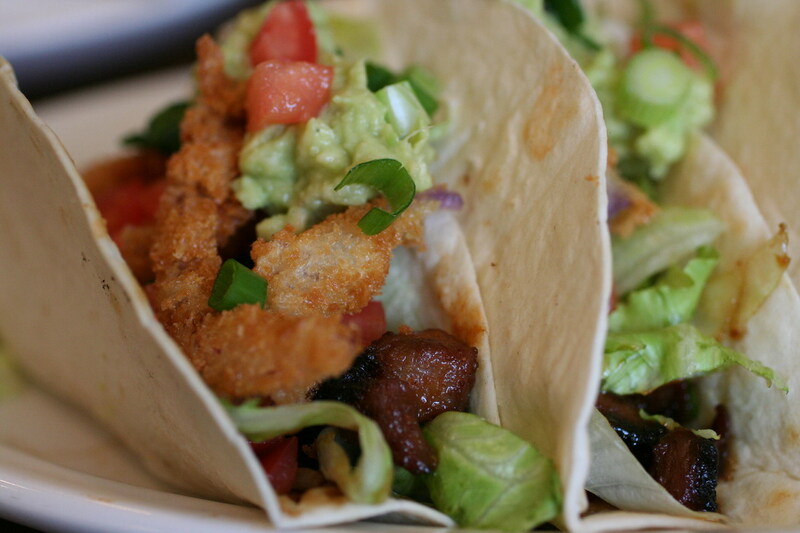 Great fresh lettuce, tomatos and green onions, crunchy breaded red onions, lightly toasted flour tortilla shells, and deliciously marinated pork tocino. The tocino had a strong sweet and soy flavour, with a light teriyaki sauce in the taco. I would easily order this again, though maybe at a different restaurant? It feels a bit out of place if I’m searching for classic, traditional Filipino flavours. 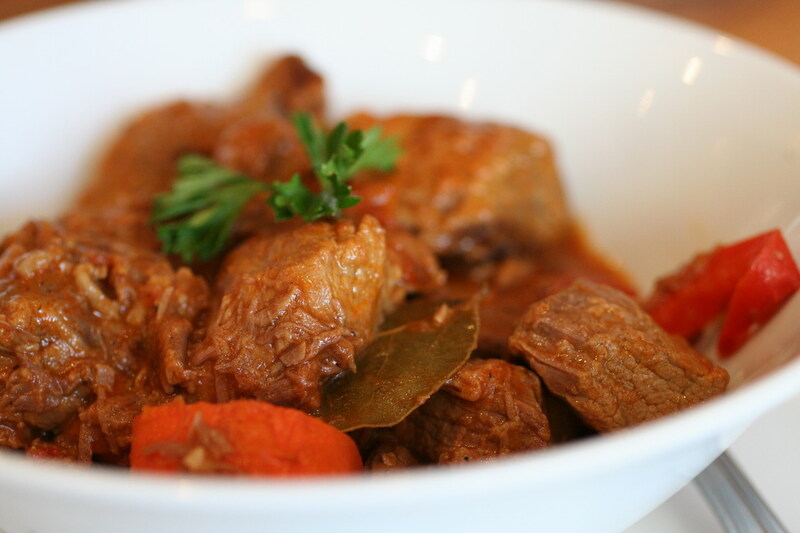 Beef Kaldereta is a stewed beef dish in a tomato-based sauce. The pieces were very tender, a mix of beef shank and sirloin — the shank meat was by far more tender and melt-in-your-mouth. The multi-ethnic influences in Filipino cuisine is evident in this dish, where parmesan cheese is adds a nutty butteriness to the dish. 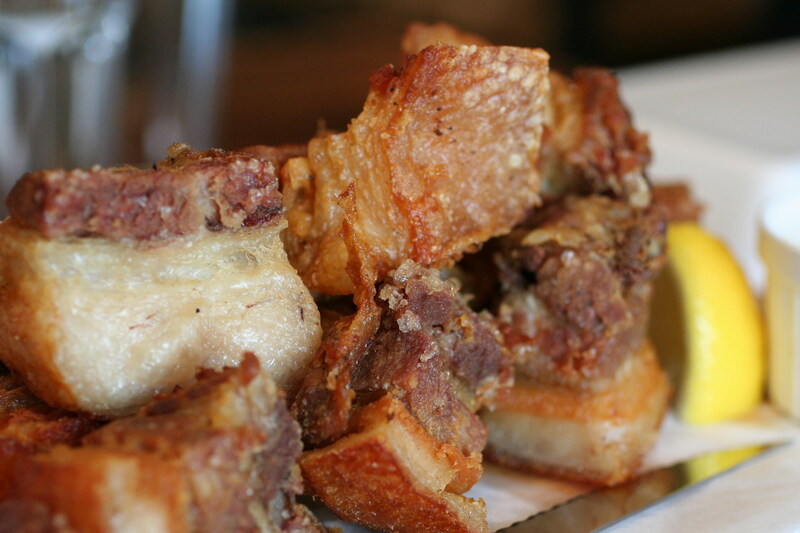 Lechon Kawali – deep fried pork belly!! It comes with sides of a clean white vinegar-based vinaigrette, and a liver-based sauce. Right — liver based sauce! It’s definitely an acquired taste, but I liked it very much. The pork belly itself, the skin was very well marinated and nicely brined, though the meat could have been a touch more tender and salty. The skin is poppingly crunchy. Would easily order this again — a very popular Filipino dish, served simple and classic. 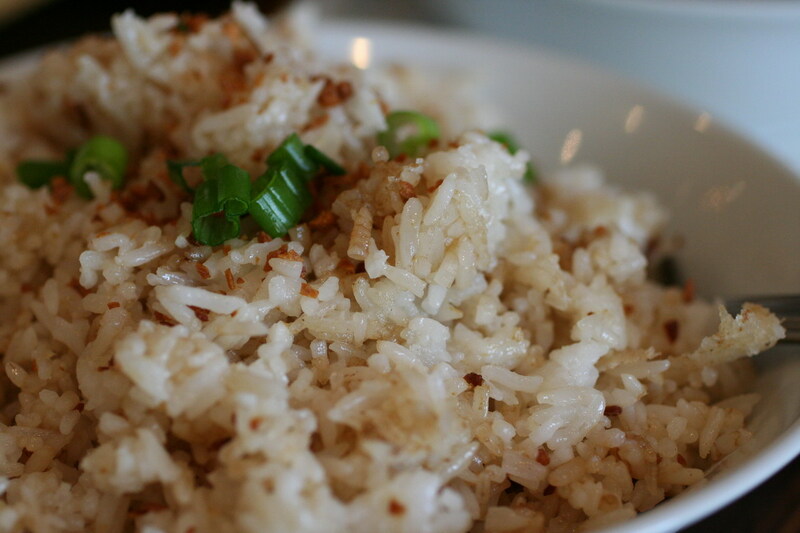 Garlic Rice – another traditional Filipino accompaniment, much like Chinese steamed rice, but SO GOOD. Sprinkled with crispy-fried garlic, tossed with garlic oil, and quickly pan-fried to really bring the flavours together, it goes great with any dish. On its own, it could probably use a dash of salt, but this is typically eaten with other foods. 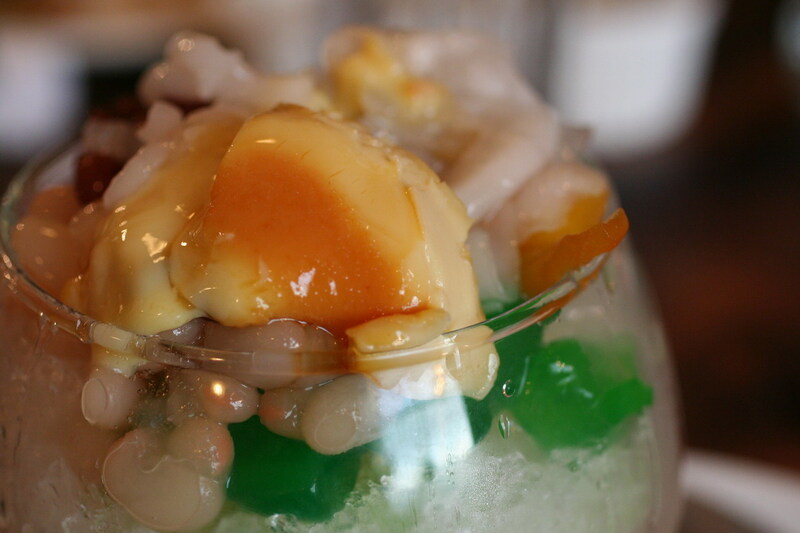 Halo Halo, a great summer dessert bowl — a bowl of shaved ice, topped with a variety of sweet treats, with evaporated milk to add a bit of creaminess. The toppings include a creamy velvety leche flan, red beans, coco de nata, banana in syrup, sweetened jackfruit, and a few other beans. “Halo Halo” means “mix mix”, so once you mix all the ingredients into the ice, every spoonful gives a different surprise of texture and flavour. 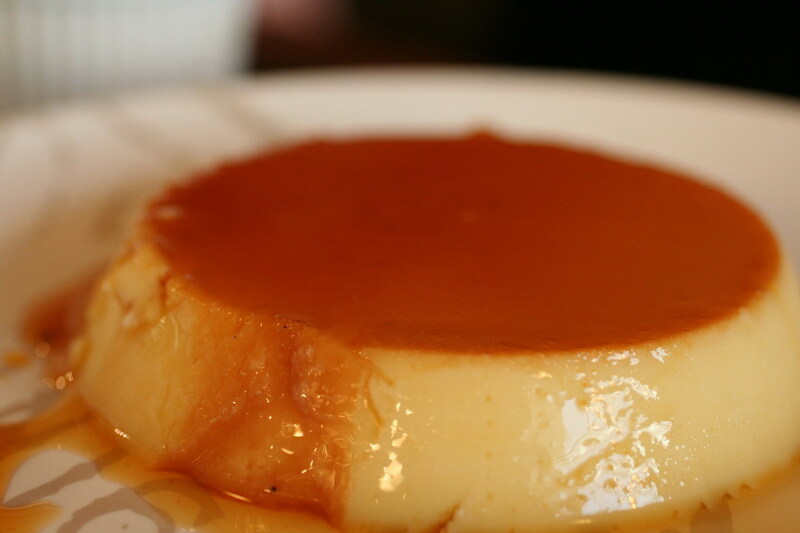 Leche Flan – it’s a creme caramel, but made with far more egg yolks than the traditional french version. This gives a very creamy, smooth texture — a bit heavy for one person to eat alone, but shared among friends, it leaves everyone’s mouths with that great velvety finish and caramel aroma.